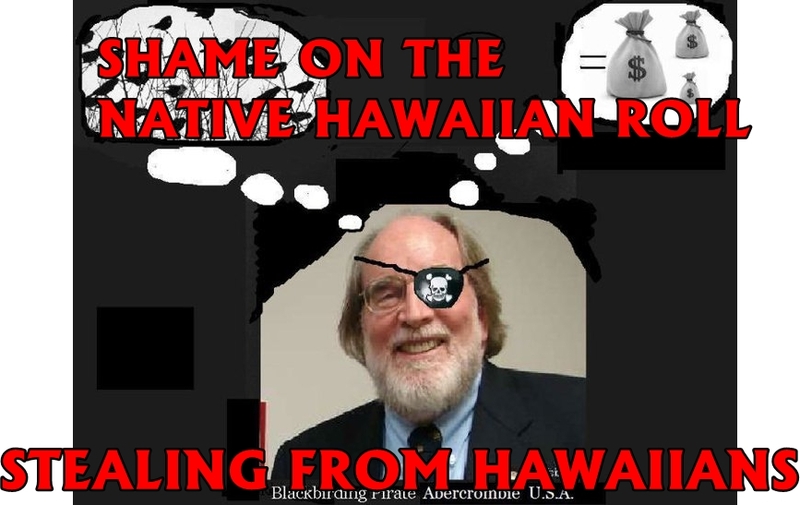 The Native Hawaiian Roll Commission is stepping up their propaganda and LIES because many Hawaiians STILL REFUSE to sign. Continue to RESIST this THEFT. They are sneaky and have slapped a Hawaiian name, Kanaiolowalu, on it like how they insult our intelligence and slap us in our face. Do not ENABLE these thieves to steal MORE FROM HAWAIIANS. If you placed your name do not despair! Contact them in writing and tell them to remove your name. Make you sure you keep a HARD COPY of the letter and send it CERTIFIED MAIL and keep it in your records to show that you removed your name from their SCAM.